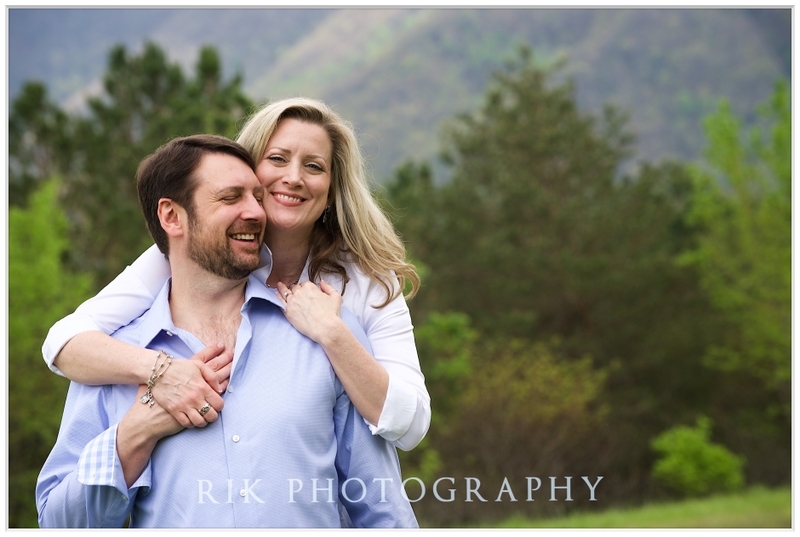 Dena and Ray came all the way from Dallas to get married in the Smoky Mountains at Bluff Mountain Inn. 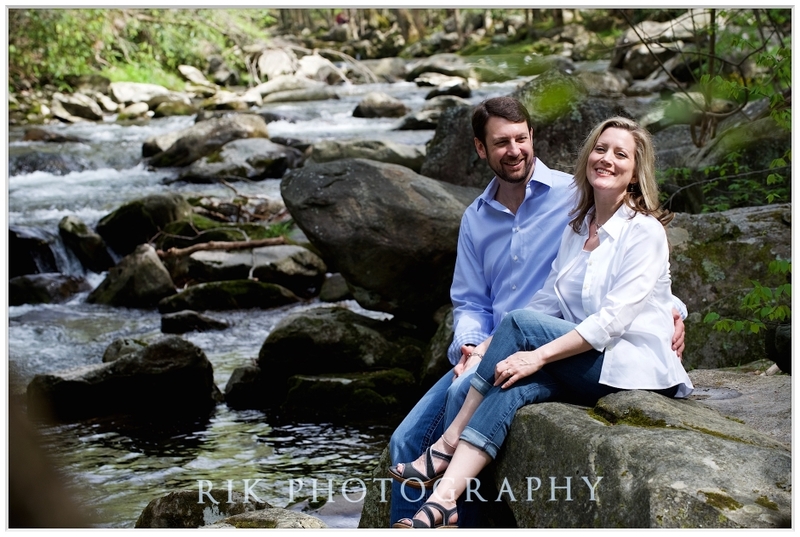 While they were here they took advantage of the scenic views and scheduled a photo engagement session. 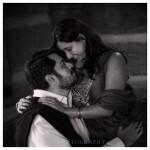 We can still call it an E-session because they were still engaged at that point. The wedding was the next day! It was a blast walking around the park with these folks. They were up for an adventure and we had one! Climbing rocks, exploring old cabins, jumping in the river, an occasional snake siting… all in good fun and we got some great shots for them to have to remember this most special occasion. There’s an advantage to having a professional photographer who’s familiar with the area where you’re planning to have your photo session. When we drove into the national park Dena and Ray were amazed at how beautiful the scenery is. Being from Texas they really didn’t know what to expect other than what they’d seen online. The spectacular views, running rapids, huge trees and wonderful trails made them want to spend more time hiking and exploring than visiting the tourist attractions. Anyone who comes to the Great Smoky Mountains and doesn’t visit the wonderful national park really doesn’t know what they’re missing. National parks are a treasure we have in America and this one is the most visited. People from all over the world come to Gatlinburg to enjoy nature and take advantage of this great resource. 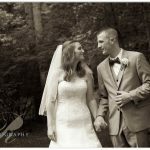 While you’re here you should schedule a photo session with RIK Photography! Call 865.908.0321 to schedule an appointment.